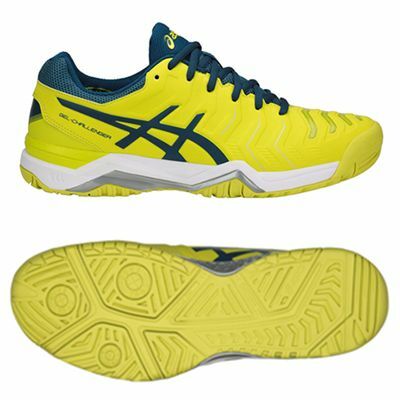 Sprint across the baseline and dominate the court wearing the Asics Gel-Challenger 11 men’s tennis shoes. With a breathable, seamless Flexion Fit® upper featuring California Slip Lasting technology, the shoes offer a comfortable and stable fit and it has an anti-gravel tongue to prevent small stones and debris from entering the shoes. The midsole uses rearfoot and forefoot GEL® cushioning system technology for a cushioned feel and shock attenuation and there is an EVA sockliner moulded to the shape of the foot. The outsole is non-marking and made from AHAR+ material (Asics High Abrasion Rubber) for a better grip and solid durability. for submitting product review about Asics Gel-Challenger 11 Mens Tennis Shoes.